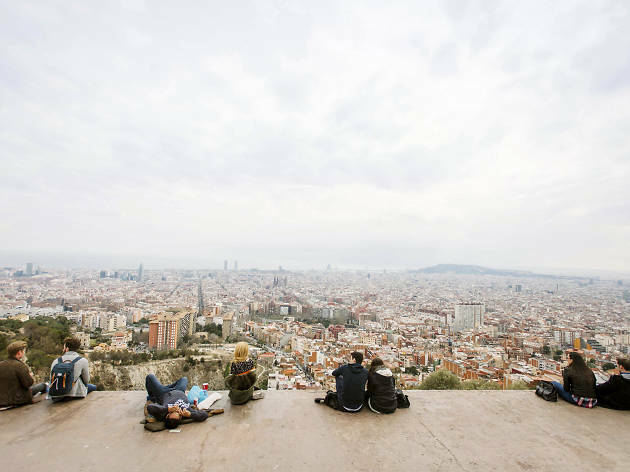 With Airbnb you can discover a Barcelona that you won’t find on a map, online, or in the guide books. What better way to see the city than through the eyes of the people who live here and the fantastic experiences they can share! You know about the most beautiful and emblematic spots in Barcelona: the Sagrada Família, La Rambla filled with people out for a stroll, Plaça Catalunya, and Montjuïc with its fountains and lush parks. And when you're spending time in a city like Barcelona, you usually end up going to all these sorts of best-known places. But imagine if you could discover hidden corners you never knew existed. Now, with Airbnb's Experience Hosts, another Barcelona is within your grasp – a secret and magical Barcelona you might not otherwise get to know. You'll be able to try that little hidden restaurant in the Born, shop in Gràcia for gorgeous artisan soaps, or enjoy a bicycle ride through lovely narrow streets. Now staying in a big city and really getting to know and enjoy it is a whole new experience with the Airbnb Experience Hosts – passionate locals who can't wait to share their excitement and experiences about the city. A bike ride is always an appealing way to see the city, but even better is riding a classic bike through winding streets you’d normally miss completely. And if you also happen to enjoy a nice glass of wine, you can make this the perfect tour with Timeless Classics, run by Juan Arturo who founded the Veni Vidi Bici bike shop and museum in the Sants district. Arturo takes very special bike tours around the traditional tapas bars hidden away in the city, where the tourists don’t go and that you’d never find without your local Airbnb experience host, and which will leave you, quite literally, breathless. A cooking demonstration, dream menus and cuisine from the Italian countryside accompanied by delicious biodynamic wines. Sounds good, doesn't it? But wait, there's more. Imagine that this gorgeous cooking also includes fresh and organic ingredients brought in by our providers, artisans and local biodynamic farmers. No, you're not dreaming. This is all a reality that Celia De Red, your host for the 'Rustic Tastes' experience, shows you in this exclusive club for foodies in the heart of Barcelona. Celia De Red wants to connect the threads that unite people, organic products and slow food, and she wants you to come along. Can you really resist this experience? Sara decided to give her life a new turn and left her job as an interior designer to give cooking workshops and courses. Her grandmother showed her the secrets to making traditional paella and now she shares her delicious recipes with others in the cooking paradise she’s created in her charming garden. The Secret Garden Paella is the ideal treat for foodies who want an authentic experience! Fuet is one of the world’s best-loved Catalan products. And not only will your host Anna show you how it’s made, but you can see the whole process in an amazing venue – one of the town of Vic’s oldest butcher’s. The Catalan Food Artisans experience also includes a tour of the Plaza Mayor market, where you can sample organic cheeses, fresh fruit and veg, homemade jams and local honey. If that doesn’t make your stomach rumble we don’t know what will! The city’s coast and maritime culture have shaped Barcelona, and in districts like the Barceloneta you can see the evidence of its fishing history at every corner in its amazing seafood and beachside atmosphere. Fisherman's Friend is hosted by Cristina, who introduces visitors to local fishermen, where you can witness the skills still used in the Muelle del Reloj harbour. You can chat to the fishermen, go aboard their boats and even visit the professionals-only fish market. Quite an experience to take away! In 2010 Birra 08 was the first craft beer maker to open in Barcelona. Its founder Jordi takes you on a journey into the world of beer to tantalise your smell and taste-buds at the main brewery in Clot. The Craft Beer Junkie experience will show you the different tastes of craft beer and teach you all about the brewing process and the fascinating secrets of hops and malt. Clara is on the cutting edge of Barcelona trend, and is dying to show you the hottest places to be in the Raval and the Born where all the in people hang out. She knows all the innovative restaurants, hidden hotel rooftops, vintage paradises and where you can buy unique things like homemade sunglasses. 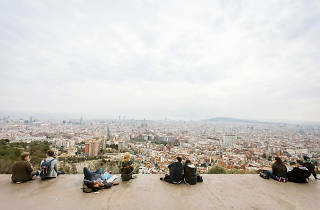 Jump on the coolhunter bandwagon in true Barcelona spirit with Trendy Barcelona! Riding through a medieval landscape is an unforgettable experience, and just an hour from Barcelona you can view the beautiful landscapes of La Segarra on horseback, led by David, who is an expert equestrian guide and also a lover of art history, a combination that makes for a fascinating 15km-tour through the medieval villages of Guimerà and Vallfogona de Riucorb. If your idea of heaven is learning all about the wine-making process in an unforgettable setting, join Fernando at Pontons castle for the In Vino Veritas experience. The castle is a sixteenth century fortress, and Fernando is an oenologist from a family of no fewer than twenty generations dedicated to wine production. The unique experience includes a crash course on the history of local wines and the chance to try them with some delicious homemade tapas. Swimming out at sea is always an adventure, and if you can dive into the Mediterranean waters from a majestic wooden yacht you are really living the dream! Nine years ago Mark left reality behind to follow his dream of a life sailing and exploring. He loves to share his achievements, and the Barcelona Sunset experience is the opportunity to board his boat and have a go at sailing, join in the party and relax.